When she was visiting Grammy a couple of months ago, LL was admiring ELC's extra sparkly gold tootsies. LL wanted gold fingers and toes, too! ELC had found this OPI color on one of her grocery shopping excursions to the cute town of Granbury. It's called "All Sparkly and Gold," and I'm here to tell you--it's seriously fabulous. The Three Leighton Ladies all love it. ELC graciously let me borrow it yesterday so I could have my first pedicure since July (don't ask--my feet were shameful!). My two other favourite polishes as of this moment? 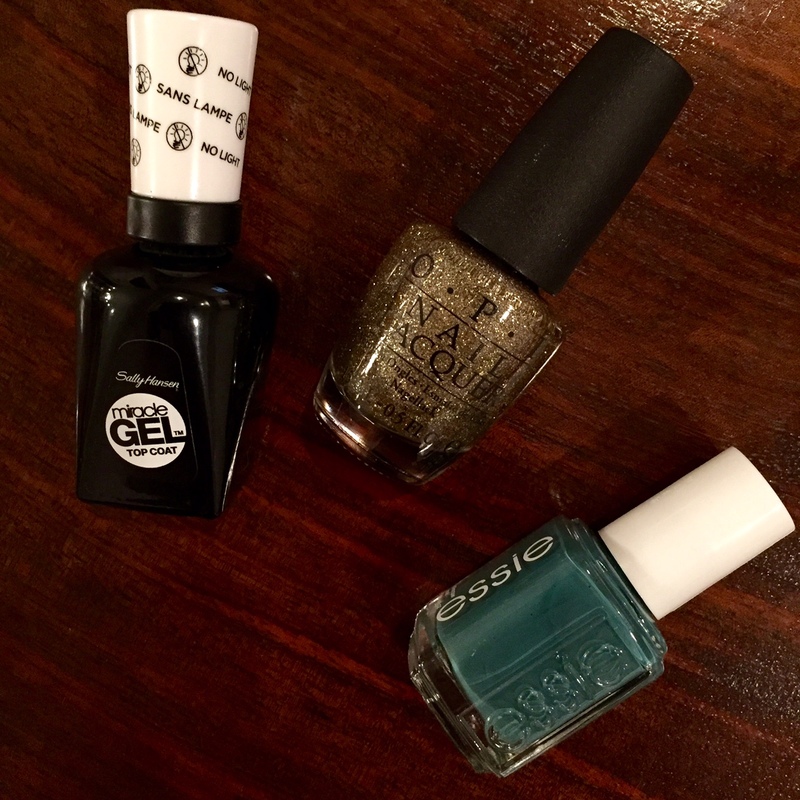 Essie's "Pool Side Service" (a slate blue) and Sally Hansen's "Miracle Gel Top Coat." Both of these are on my hands right now. I truly think this top coat makes my polish withstand washing dishes and chasing a toddler several days longer! I don't typically splurge on manicures because they never last. The color inevitably chips by the time I walk out of the salon, and that's so frustrating! I've found painting them myself and using this top coat can give my mood a little boost at a fraction of the cost (and my sanity!)! Happy Tuesday evening, Friends! I'm off to prop my feet up and watch something mindless. I'm getting so anxious!